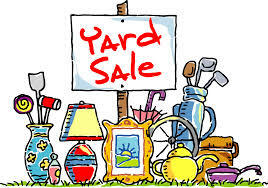 Whole School Garage Sale Saturday – drop off stuff today! Time for a spring clean? Bring your junk – someone else’s treasure – to the Whole School today. There are two covered canopies in the school yard to protect stuff from the rain. Or if you’re looking for new furniture, children’s clothing, books etc. come on Saturday and do some shopping at this relaxed Whole School fundraiser. There will be a BBQ concession with organic beef sausages, delicious desserts and drinks. Join us!